Keeping with our longstanding tradition of giving back to our community, and as a community service to the young people of New Hampshire, the New Hampshire Gay Men’s Chorus is proud to offer our NHGMC 2019 $1000 Student Scholarship! 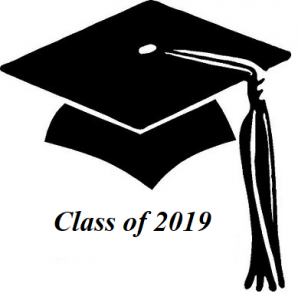 The winning 2019 candidate shall be a graduating New Hampshire high school senior (academic year 2018-2019) and a New Hampshire resident, with plans to major in the Performing Arts as a full-time student. To apply for our 2019 Scholarship, please click here to download the scholarship application form and follow the instructions for filling it out and returning it to NHGMC. Deadline: The scholarship application must be postmarked by Saturday, April 13, 2019. Congratulations Molly Plaisted of Nashua – our 2018 Student Scholarship recipient! Our Chorus family offers its heartfelt congratulations to Molly S. Plaisted of Nashua, New Hampshire — NHGMC’s 2018 Student Scholarship recipient! Molly, who graduates this year from Nashua High School South, plans to attend the University of Massachusetts at Amherst and major in her first passion, Music, with an emphasis on performance ensembles, given her other passion, Performance. Since December, Molly has worked as an intern for Symphony New Hampshire, assisting their music librarian. Molly also volunteers at the Boys and Girls Club of Greater Nashua, helping their percussion ensemble. Through her high school’s Tri-M Music Honor Society, she also mentors percussionists at Nashua’s Elm Street Middle School. At Nashua High School South, Molly was a member of the marching, concert, and jazz bands. She was awarded the Overall Band Award during her junior year, and she attended the Jazz All-State and voted Best Actor during her freshman year. She is also a member of the Spartans Drum and Bugle Corps. Molly is also well-versed in all phases of video and television production — producing, camera operation, script writing, and directing. Molly, we at NHGMC wish you all the best as you pursue your dream of a career in the Performing Arts. We are happy to help make your dream come true. Our 2017 Student Scholarship recipient, Christian P. Stewart of Holderness NH, graduated with honors from Plymouth Regional High School (PRHS) on June 3, 2017. Christian is attending Skidmore College in Saratoga Springs NY where he majors in Music with career aspirations not only to perform as a musician but also to teach music to students of all ages. An avid saxophonist, Christian’s passion for music began just a few years ago, particularly with his love of jazz and jazz fusion. He was motivated by songs like Joe Zawinul’s Birdland. Christian is also a clarinet, trumpet, and piano player, and he’s also begun to compose music. At PRHS, Christian joined all the available bands and singing groups. (Yes, he sings too!) Last Spring, he received the Outstanding Member of Jazz Band award; he is the band’s captain and section leader. Last year Christian was selected for both the All New England Band and All New England Jazz Festivals. He has also participated in the Lakes Region Music Festival for the past three years. Our 2016 Scholarship recipient, Emma K. Eafrati of Manchester, graduated from Manchester Memorial High School on June 4, 2016. She is attending the University of New Hampshire, Durham, and majoring in Music Education. Emma plans a career teaching music for elementary- and middle-school children. During her high school years, Emma, an accomplished saxophonist, was a member of many different bands — high school bands and statewide bands — and even served as Drum Major and section leader. An honor student, Emma also exhibited a passion for many different types of volunteer work. Before going to UNH, she also attended many youth musical schools and studied, among other things, music theory, music appreciation, and advanced instrumental studies. Our 2015 student scholarship recipient, Heather J. Hunt of Gilmanton, New Hampshire, graduated from Gilford High School, class of 2015. Hope is attending Keene State College, majoring in Theater with a focus on Acting and Directing. Heather has already amassed an incredible number of accomplishments. She is an active writer with a goal of writing, casting, and directing her own plays. Before going to Keene, she had already acted in more than 30 musicals and plays and had been involved in all aspects of theater — directing, playwriting, management, set design, costumes, properties, and makeup. Our 2014 student scholarship recipient, Hope L. Aubrey of Sandown, New Hampshire, graduated from Timberlane Regional High School in Plaistow, New Hampshire, Class of 2014. At Timberlane, Hope ranked fourth academically in her Senior class of 347 students. Hope attends the prestigious, world-renowned Hartt School in Connecticut. The Hartt School is the comprehensive performing-arts conservatory of the University of Hartford, with programs in music, dance, and theatre. Hope planned on majoring in Clarinet Performance. Hope and her proud parents attended our Manchester It’s Showtime! concert on May 18, 2014, at the Derryfield School, where she was introduced to the audience. Our 2013 student scholarship recipient, Roland Erik DuBois of Gilford, New Hampshire, graduated from Gilford High School, Class of 2013, and he is pursuing a career in the Performing Arts with a major in Musical Theatre at Plymouth State University. Throughout his high school years, Roland exhibited tremendous dedication to his interest and passion for music, theatre, achievement, community, and academia. Bailie deLacy of Hollis, New Hampshire, was the lucky recipient of our 2012 student scholarship! Bailie graduated from Hollis Brookline High School on June 16, 2012. An aspiring actress, she is attending Boston University as a full-time student majoring in the Performing Arts.